The Cabinet on Tuesday approved a bill revising the enforcement of civil law to enable the handover of a child to a parent who is awarded custody, even if the other parent refuses to abide by a court order to transfer guardianship. Currently, the law has no clear stipulation on such handovers, leaving court officials to rely on a clause related to asset seizure to enforce child custody orders. The current system has drawn criticism due to the fact it treats children as property. Legislation implementing the Hague Convention on the Civil Aspects of International Child Abduction, an international treaty providing a framework allowing the return of a child internationally abducted by a parent, will similarly be revised. At present, legislation requires a parent living with a child to be present when the child is handed over to the other parent, but the proposed revision will allow a transfer without both parents being there. The convention, to which Japan acceded in 2014, sets out rules and procedures for the prompt return of children under 16 to their country of habitual residence when they are taken or retained by one parent, if requested by the other parent. The bill to modify the Civil Execution Law also includes revisions to allow courts to obtain debtors’ financial information and bar registered crime syndicate members from acquiring foreclosed real estate properties in public auctions. The amendments are aimed at helping authorities seize money and properties from parents who fail to meet their court-ordered child support obligations and from people who do not pay compensation to crime victims. The revised execution law will make it easier for courts to require financial and public institutions to provide information on debtors, including data related to their savings and places of employment. Japan maintains a system of sole custody and, in a large majority of cases, when a dispute reaches court mothers are awarded custody after divorce. It is not unusual for children in Japan to stop seeing their fathers after their parents break up. Emmanuel, Stephane, Henrik and James come from very different backgrounds, but they share the same painful experience of battling Japan’s legal system — in vain — for access to their children after divorce. Tough laws and patriarchal cultural norms that overwhelmingly see mothers granted sole custody after a divorce — 80 percent of the time, according to official figures — mean that fathers rarely see their children again. Frenchman Emmanuel de Fournas has spent years battling for access to his daughter after his Japanese ex-wife moved back to Japan. Despite winning a court order in France and filing a case under The Hague Convention on the Civil Aspects of International Child Abduction in September 2014, he is still fighting for the right to see his daughter. “I thought I could benefit from the clear rules of The Hague Convention, but… they aren’t respected in Japan,” he told AFP. “I’ve lost everything, my savings, my job,” he said tearfully. AFP was not able to contact the mother. His experience is not unusual. Henrik Teton from Canada and James Cook from the United States have similar stories to tell. “What kind of justice system is it if decisions are not implemented? There is room to do more and better,” says Richard Yung, a French senator who came to Japan to plead the cases of several French parents. Although Japan has signed The Hague Convention designed to prevent a parent from moving a child to another country and blocking access for the former partner, Tokyo demonstrates “a pattern of noncompliance” with the pact, according to the U.S. State Department. For foreign parents, most often fathers, “this poses major problems, because they have a different mentality and they can’t comprehend losing custody or the right to visit their child,” said Nahoko Amemiya, a lawyer for the Tokyo Public Law office. Even when foreign parents win their case in a Japanese court, enforcement is patchy. With opinion divided on what causes the most trauma to children, the longer a child is separated from one parent, the more reluctant authorities are to intervene, citing a “principle of continuity”. “It’s not that Japanese courts favor the Japanese parent, it’s that they favor the ‘kidnapper,'” who is living with the child, said John Gomez, founder of the group Kizuna, which advocates for parents separated from their children. Japan’s government defends its record, saying most of the 81 cases filed under The Hague Convention since 2014 have been settled. “The majority of the cases in which we intervened have been resolved, but we are aware of six or seven where the return decision could not be implemented,” said Shuji Zushi, a foreign ministry official. “In these cases, there is a very strong conflict between the two sides and that leads to media attention or political action,” he said. Stephane Lambert spent years fighting to see his son after his wife and child moved away from their home in Japan — a case not covered by The Hague convention. There are some signs of change: a panel of experts met in June to discuss new ways to enforce court orders, as well as the issue of joint custody and changes to the law. But regardless of changes to the law, the pain of parental separation is always traumatic — as demonstrated by the case of Joichiro Yamada, who was 10 when his Japanese father and American mother split up. The Justice Ministry’s legislative council subcommittee on Friday drafted rules to facilitate child custody exchanges between divorced parents, including greater power for enforcement officers. 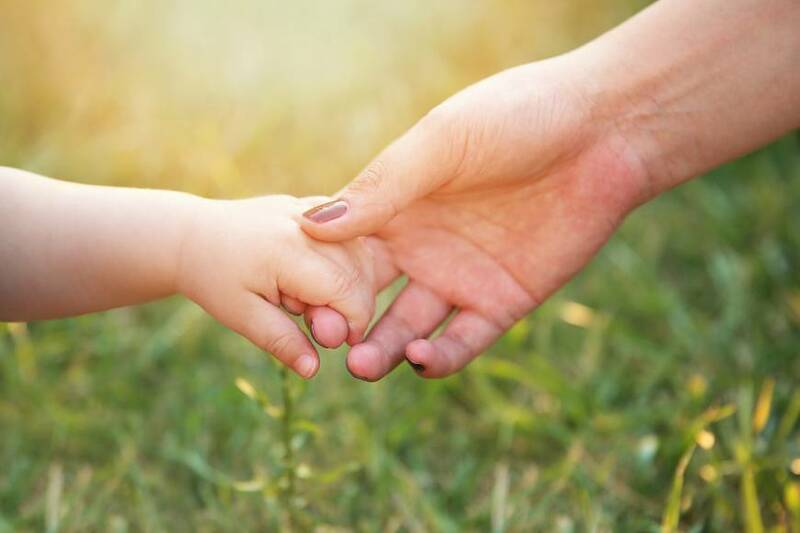 The panel compiled the draft in response to several cases in which custody exchanges did not succeed due to uncooperative parents who lost guardianship rights. In 2017, handovers took place in only 35 of the 106 cases where such requests were filed, according to the Supreme Court. Enforcement officers acting on court orders have little recourse when parents stripped of custody rights refuse to cooperate, sources familiar with the matter said. After the panel’s rules are submitted to the justice minister, the government plans to present a bill to revise the law to the extraordinary Diet session expected to be convened in the fall. There is no legal provision to force parents who are divorced or separated to handover children. Children are handed back to enforcement officers in the presence of the parent who lost custody but is living with them. The rules call for giving more power to enforcement officers and allowing handovers to take place only in the presence of parents with custody rights, on condition sufficient consideration is paid to the sentiment of the children. To help, the panel also called a legal revision to implement the Hague Convention on the Civil Aspects of International Child Abduction, which is used to settle cross-border custody disputes arising from breakups of international marriages. 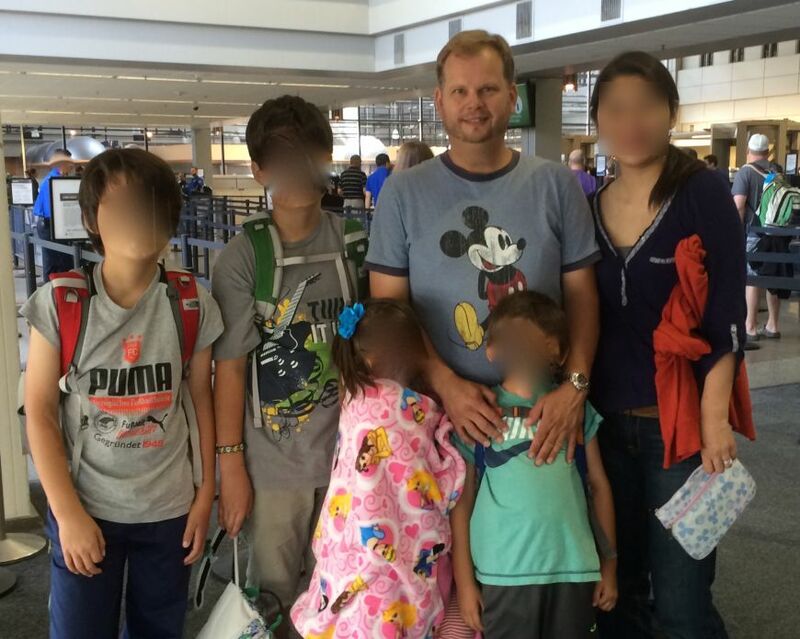 His four children were abducted to Japan from Minnesota by his Japanese wife in 2014. This was after Japan acceded to the Hague Convention on the Civil Aspects of International Child Abduction, so he might have had hope in the early days. Using the baroque procedural regime the Diet passed for the sole purpose of implementing the Convention, he sought a return order for his children in the Osaka Family Court. The court granted a return order, but only for the younger two — twins, both 7 at the time — not the older pair, who were 12 (and also twins). In doing so, the judge demonstrated what many of us in this area already know: that family court judges — even those tasked to a Hague court — don’t have a [bad word]-ing clue about children or what is good for them. Basic family law common sense says you don’t separate siblings, particularly when they have already been deprived of one parent. Maybe the judge was deliberately trying to foist this case on a higher court. In any case, cutting the babies in half didn’t work and both Cook and his estranged wife appealed. To its credit, the Osaka High Court then issued a return order for all four children (golf clap). Then came the efforts to enforce this order. These can be frustrated by a “taking parent” (as they are known in Hague parlance) simply not cooperating. This is because the rules around enforcement of such orders are literally designed to ensure they will only work if the taking parent and the children involved play along. Sometimes they do and it is succcessful, but in this case it did not. The only sanctions for not cooperating are financial, and collecting those is similarly problematic. Last month the U.S. State Department cited lack of enforceability as a factor in describing Japan as showing a “pattern of noncompliance” just four years after it signed the convention. It also probably didn’t help that the process is also allowed to facilitate alienation of the left-behind parent by the taking parent. Cook had virtually no contact with his children during this time, which of course makes it easier to get kids to say they want to stay in Japan to authority figures when necessary. Cook’s wife appealed the high court ruling to the Supreme Court but lost. From there, you might imagine it would be just a matter of pursuing the enforcement process persistently enough until it paid off — maybe. However, Japan’s Hague implementing statute includes a procedure for moving for a new hearing, even after appeals are exhausted. This is odd, since the point of the convention is to get children back expeditiously, not give the taking parents as many bites at the apple as possible. Cook’s wife petitioned the Osaka High Court to reconsider the return order, essentially arguing that he had been rendered insolvent by the long legal struggle she had triggered and was not capable of looking after the children in the U.S. The court bought it and rescinded the return order — conveniently ignoring that (according to his impeachment petition) she also owed him close to $100,000 in fines for noncompliance with earlier enforcement orders. Cook appealed to the Supreme Court and lost, thereby establishing a nice road map for future abductors. I had thought this meant “game over” for Cook, as it sadly does for so many other parents, Japanese and foreign alike, who lose contact with their children in Japan through the nonfeasance or even abetment of the nation’s courts, Hague Convention notwithstanding. But did I mention Cook is relentless? In April of this year he filed a petition with the Judge Impeachment Committee of the Diet — against the five Supreme Court judges who upheld the Osaka High Court’s Mulligan. Windmills may also be involved, but the quixotic quest for justice by people who could do other things with their time is where a lot of important law comes from. The judges will never actually be impeached, for reasons I will get to, but power to Cook for hammering at every crack as hard as he can. Judicial impeachment is a U.S.-style separation-of-powers check-and-balance that was incorporated in Japan’s Constitution. Article 64 of said Constitution requires the Diet to set up an impeachment court for the removal of judges, and Article 78 protects judges from removal other than by impeachment or for reasons of mental or physical incapacity. Impeachment is a two-stage process. First there is a Judge Impeachment Committee comprised of members of both houses of the Diet that reviews petitions for impeachment in nonpublic proceedings. Those it deems worthy are referred to the Judge Impeachment Court, which is also comprised of members of both chambers. Not a lot of petitions are considered worthy of referral to the court. From 1948 through the end of 2017, the committee had received petitions complaining about 19,814 judges (the actual number of petitions is much, much larger, since the committee statistics treat multiple complaints about a particular judge as a single incident). Of these, most were filed by regular citizens, a much smaller number by lawyers and others. The majority cited “wrong decisions” as the grounds for the petition. Of course, impeaching judges for rendering a decision one party doesn’t like would see all of them out of a job. Unsurprisingly, most petitions don’t go anywhere, but still, in 70 years the commission has referred only nine judges to the court for trial and “suspended” prosecution of seven others. The summaries of cases of suspended impeachment on the committee’s website are revealing. Examples of judicial behavior deemed egregious but still worthy of mercy include: switching judgments already rendered in order to hide a mistake (1953); failing to shush a group of defendants calling for a moment of silence to commemorate the death of Stalin (1954); appearing to have agreed with police and a mayor, over drinks, to fix a bribery case against the mayor (1954); and churlishly allowing a “private letter” from a senior judge not involved in a constitutional case recommending how the case should be decided (1965 — the senior judge never got even a suspended impeachment, of course). So what about the nine cases referred to impeachment? First there are two from 1948, both involving judges caught dealing in the black market. Possibly because everyone needed to do that to survive the deprivation of the postwar period, both were acquitted. The remaining seven cases all saw the offending judges losing their jobs, for the following transgressions: doling out blank signed warrants; being entertained by a party to a case; pretending to be a top prosecutor in order to call the prime minister and providing a tape of the resulting conversation to the press; accepting gifts from a lawyer; using child prostitutes; stalking a female court employee; and using a cell phone to take pictures up a woman’s skirt on a train. Two other judges were also recently busted for similar behavior, but since they were on secondment to the Ministry of Justice and technically prosecutors at the time (separation of powers! ), they could not be impeached but lost their jobs through other procedures. The Judge Impeachment Act enables the Supreme Court to file a petition for impeachment if it discovers a judge behaving badly. This may seem perfectly reasonable, but the fact that the number of times the Supreme Court has done this (eight) is almost identical to the number of impeachments that have occurred is interesting. The records of impeachment trial available on the impeachment court websites do not show who brought the complaints resulting in referrals or impeachment. Yet it would arguably be bad for the system if it turned out the Supreme Court bringing a complaint determined whether impeachment actually happened. Unfortunately, it is easy to imagine that being the easy path for the Diet member “judges” on the impeachment court: “Hey, if the Supreme Court wants to impeach him, he must be guilty.” After all, the same logic seems to apply in criminal cases: “Prosecutors wouldn’t be prosecuting him if he wasn’t guilty” — 99.9 percent conviction rate, anyone? The Supreme Court bureaucracy already has numerous tools for sanctioning naughty judges. These include administrative tools such as formal cautions, postings to isolated branch or family courts, or simply not recommending them for reappointment at the end of the constitutional 10-year term all but those on the Supreme Court serve. Above this there is an entire internal trial system that can be used to discipline misbehaving judges or even remove them if they are found mentally or physically unfit. That the impeachment court might simply be functioning as a top-level disciplinary tool does not say much for separation of powers. Nor, of course, does the fact that while the impeachment commission members may be Diet members, its administrative functions are performed in part by judges on secondment from the judicial court system. So anyway, this is why the likelihood of Cook’s petition to impeach five judges at the very top of this system has zero chance of success. But at least it was accepted. Although the Judge Impeachment Act says “any person” can file a petition, the impeachment committee website says one from a foreign national will first be reviewed and, if it has merit, submitted by the committee on its own authority. Such pointless discrimination clothed in technicality is perhaps just another indicator of why expectations about the Hague Convention should continue to be set low. Colin P.A. Jones is a professor at Doshisha Law School in Kyoto. The views expressed are those of the author alone. Japan’s Supreme Court orders a child be sent home in a Hague parental abduction case. Maybe. On March 15, Japan’s Supreme Court issued an important decision in a case arising under the Hague Convention on child abduction. Except it wasn’t about the convention, but about habeas corpus. Most press accounts have characterized the ruling as ordering that a child brought to Japan by his mother be returned to the United States, but it’s a bit more complicated. A pitfall of comparative law is the ease with which familiar-sounding terminology can mislead. “Habeas corpus” is a prime example. Latin for “produce the body,” habeas corpus is a centuries-old judicial procedure that in the Anglo-American system formed the bedrock of human rights law before the concept of human rights existed. A person subjected to arbitrary, unlawful detention could petition a court to issue a writ of habeas corpus. If the writ was issued, the detainer had to bring the detainee to court and explain the grounds for detention. If the detention was found to be unlawful, the detainee was immediately set free. In England, habeas corpus led to a number of famous court decisions, such as the 1670 judgment establishing that jurors cannot be punished for their verdict, or the one in a 1772 that said nobody on English soil could be a slave. In the United States, habeas corpus was one of the few provisions about human rights contained in the U.S. Constitution before the Bill of Rights was added. In 2008 it was used to challenge the prolonged detentions without trial of terrorist suspects by the U.S. military at Guantanamo Bay. Japan also has habeas corpus. Its Habeas Corpus Act was passed in 1948, specifically to give life to the ideals of the freshly minted Japanese Constitution by providing rapid and easy judicial relief for unlawful deprivations of liberty. Depressingly, the legislative history of the act reveals complaints about the old system — police using pretexts to detain suspects for long periods of time, coerced confessions, judges not protecting people’s liberty and so forth — that are similar to those made about the Japanese criminal justice system today. The Supreme Court immediately used its power to create procedural rules to neuter habeas corpus. One rule it made required courts to reject petitions if there were “any other adequate means whereby relief may be obtained,” unless “it is evident that relief cannot be obtained within reasonable time.” With this, “rapid and easy” relief were excised from the law. At the time, Japan’s entire code of criminal procedure was also revised to make it consistent with the numerous new constitutional guarantees of personal liberty and procedural justice. So perhaps the court’s thinking was that the procedural protections of the code would make habeas corpus unnecessary in most cases. Yet seven decades later, the former head of school operator Moritomo Gakuen, Yasunori Kagoike, and his wife have been detained incommunicado for eight months without being put on trial. Ostensibly charged with fraudulently receiving public subsidies, their judicial renditioning is believed by some to be a way to prevent him from disclosing any embarrassing information about dealings with Prime Minister Shinzo Abe and his wife. By now, Japanese judges would have approved his prolonged detention multiple times. The Kagoikes’ treatment is not unusual, but habeas corpus is noticeably absent from discussions about him or any of the numerous famous so-called enzai cases — those where suspects were convicted and imprisoned for crimes based on questionable evidence or coerced confessions. So, it is technically correct to say Japan has habeas corpus. It is also correct to describe the text of the law as providing prompt judicial remedies for unlawful detentions. In fact, habeas corpus offers a wonderful example of how you can state two factually accurate things about the Japanese legal system and still completely mislead your audience. The Supreme Court also changed the law through a rule requiring detentions to be “conspicuously unlawful” in order to be eligible for habeas corpus relief. This was significant: “Minor” abuses by police or procedural violations by prosecutors or other judges would not be subjected to scrutiny through a habeas corpus hearing, because the petitions would be rejected for lack of conspicuousness. It also meant that in the rare case that a petition was granted, the hearing held as a result would be meaningless. Why? Because by granting the petition, the court had already decided the detention was conspicuously unlawful — no bothersome arguing of facts and law in a courtroom for us, please! The Supreme Court rules created numerous escape hatches for judges to allow even serious deprivations of freedom to continue. Under the rules, a court can grant a remedy other than immediate freedom — for a conspicuously unlawful detention! Another rule says that a petition cannot be brought over the objection of a detainee’s freely expressed objections. Habeas corpus never became the tool for protecting the Japanese people from the state as originally intended. Instead, for several decades it took on an odd second life as an occasional player in custody battles, becoming the means by which estranged parents sought to recover detained children. Courts used habeas corpus proceedings to decide which parent was “better” and should thus raise the children while their divorce was sorted out. In a 1993 ruling, however, the Supreme Court decided that even in this narrow context habeas corpus was being overused, and henceforth most disputes of this type should be resolved through the less adversarial proceedings of Japan’s family courts, whose specialized personnel had more suitable expertise. This may have had some logic, but if left parents of abducted children with no real remedies, since family court orders involving children — whether about visitation or transferring them from one parent to another — generally have limited enforceability. Habeas corpus had the advantage that failing to bring the detainee (i.e., the child) to court as ordered subjected the detaining person (parent) to the possibility of criminal penalties. Since 1993, habeas corpus has served as a remedy that might be available after all others at family court have been exhausted. It certainly has not been a “rapid and easy” remedy, since the “conspicuously unlawful” threshold in the Supreme Court was satisfied only after a recalcitrant parent had steadfastly and repeatedly refused to comply with previous court orders. And an order to bring the child to the court meant that whatever hearing the court was supposed to hold was meaningless, since the fact that it was being held meant the result was a foregone conclusion. Last month’s Supreme Court ruling concerned a dispute between a Japanese mother and father living in the U.S. Their marriage failing, the mother unilaterally brought the child back to Japan in January 2016. In July of that year, the father sought a return order from the Tokyo Family Court, which was granted in September. The mother refused to comply, so civil enforcement under Japan’s Hague Convention implementation act was attempted in May 2017. This involved court enforcement officers going to the mother’s residence and seeking to take custody of the child. The mother continued her resistance, and the enforcement officer had to forcibly enter through the second-floor window and … tried to convince her and the child to cooperate. The mother obstinately clung to the child under a blanket. The enforcement officer gave up and the effort was deemed unsuccessful. This is as far as civil enforcement will get you in a child custody case in Japan. Finally we get to habeas corpus: A petition to bring the child to court was filed with the Kanazawa Branch of the Nagoya High Court. The court appeared to have done all the things Japanese courts did before the nation joined the Hague Convention — finding conveniently that the child was happy in Japan despite having been born in and spent the first decade of his life in the U.S., and that he didn’t like his dad. Since the child was freely expressing his objections to the petition and given his age and the circumstances, his “detention” by Mom wasn’t deemed to be conspicuously unlawful. Petition denied. To its credit, not only did the Supreme Court find the lower court in error, it even acknowledged the possibility that children unilaterally deprived of contact with one parent might express views unduly influenced by the other, abducting parent. It questioned whether the child was freely expressing his will, and further noted that in international cases such as these, children face the added burdens of dealing with different cultures and languages and, if they are dual nationals, possibly ultimately a choice in nationality. The court also made a clear ruling that absent special circumstances, failure to comply with a return order under the Hague Convention should be considered “conspicuously unlawful” for the purposes of granting habeas corpus relief. All good stuff, but the end result was to remand the case back to the lower court so that it could procure the child’s presence in the courtroom and consider the matter further. Given that 18 months has passed since the child’s return was ordered, you have to wonder if that court appearance will actually happen. Habeas corpus could have been used to remedy child abductions to Japan long before the nation signed the Hague Convention. The real problem has always been the judiciary’s lack of willingness to take action. Perhaps this decision is a harbinger of long-overdue change. The Japanese government has helped return a boy to his German home in the first such case since adopting an international treaty on cross-border child custody disputes, an official said today. The foreign ministry said it intervened in a case involving a five-year-old boy, brought to Japan by his Japanese mother, who left the boy’s German father. The mother took the boy in June without the father’s consent, a ministry official said. “In August, the father contacted us to request assistance. We have located the boy, and contacted the mother,” he said. “In October, the mother took the boy to his home,” he said, adding that the parents will have to work out their difference in Germany. Tokyo’s official involvement became possible after Japan enacted in April the 1980 Hague Convention on the Civil Aspects of International Child Abduction. Japan had long been the only member of the Group of Seven major industrialised nations not to ratify the convention, which requires nations to return snatched children to the countries where they usually reside. Japanese courts virtually never grant custody to foreign parents, which has previously left few legal avenues for those whose former partners have fled to Japan with their children. Hundreds of US parents have complained that they have been left unable to see their half-Japanese children. At least 120 have filed cases in Japan, invariably to no avail. Major European nations such as Britain and France have also pressured Japan to join the shared rule among leading powers. The Japanese government has 13 pending requests from non-Japanese parents for return of their offsprings taken to Japan, the foreign ministry official said. There are nine cases where Japanese parents are asking for return of their children taken abroad, he said. The foreign ministry has also accepted 46 requests from non-Japanese parents requesting meetings with their children in Japan but not asking for their return. There are 13 cases of Japanese parents requesting meetings with their kids taken abroad, the official added.